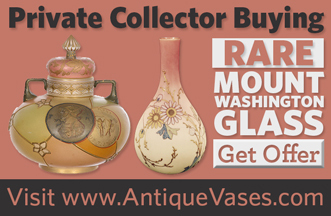 This is a top of the line Royal Flemish vase made by Mount Washington Glass Company. This particular example shows a fish swimming by a net. Similar vases frequently have the net cords over the fish design so it gives the impression that the fish is trapped.